Why is it emphasized that these are the original UGG Australia boots? Because these are the only UGG Australia original boots, made in Australia. Who is the manufacturer of boots with UGG label on them which we can find in some countries outside Australia? These are the boots, of non-authentic producers, in most cases produced in China and Turkey, and they have nothing to do with the authentic and original UGG Australia boots. 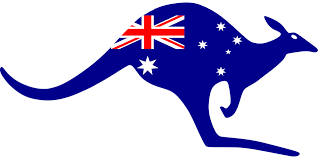 Recently, all of the manufacturers outside Australia have to remove the word Australia from UGG boots, what can be seen on the websites of these manufacturers and the products themselves. What is the difference between original UGG Australia boots manufactured in Australia and the boots of other non-authentic manufacturer manufactured outside Australia? Besides the undoubted originality and authenticity, the difference is in the quality of boots. In reference to the quality, we speak about the manufacturing process as well as the quality of materials, especially of the wool used for their production. Any product which is presented on our website is made from the finest sheepskins, meaning the original Australian merino wool and the most important is that it is made in Australia. Also, each product has "Australian made" label of the Australian State Association and the Federal Government of Australia, as the proof of originality. 1. Select the specific product you would like to by browsing through the Product category. Moving the mouse over it you will see a magnifier. Clicking on the magnifier you will be able to see the desired model and its detailed and enlarged images, which can also be seen again by clicking the magnifier. If it is the product you would like to buy, select the size in the table on the right side of the image. Click on the size and then click on the icon to add the product to your basket. 2. When you do that the selected product should be placed in a basket in the top right corner of the page. Then click on the basket and you will be directed to the page with your purchase order and the ordered item. In case you want to cancel this model and possibly return to the product page, you have the option to cancel the product and it will be deleted from the basket. If this is the desired product, continue to fill in your personal details and confirm the order by clicking the button on the bottom of the page, than make the payment by payment card (Master, Maestro, Visa and Visa Electron). Please note that during payment procedure you are directly connected to the bank system and payment cards data are absolutely protected, and we do not have an insight into them, only the bank has access, who is also the owner and controls softer payment, which is under the control of the named payment cards. Upon completion and confirmation of your order, we will send you a return receipt and order confirmation by e-mail.